WhatsApp introduced the ‘forwarding’ label last year to help curb fake news. The Facebook-owned company is working on two new features as an update to this. shows two features on forwarding messages. One adds an additional ‘frequently forwarded’ label, while the other lets users check if their messages have been forwarded. This tool is available in the info section for messages. Here, users can see if their messages have been delivered or read. The new update will show if the sent message has been forwarded and also the number of times. WhatsApp lets users hide the read receipt, but it isn’t clear if this will apply to forwarded messages as well. At present, WhatsApp shows a label for every forwarded message. You can see this just above the message text. For messages which have been forwarded more than four times, WhatsApp will show the ‘frequently forwarded’ label on top. Although these features are being tested on WhatsApp beta, it’s not available for all users as yet. WhatsApp beta users are expected to receive these features in the next update. Also, there’s no word on whether these features will release to the stable version of WhatsApp. 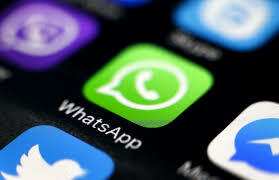 WhatsApp’s upcoming features could be a part of the messaging platform’s move to fight fake news, an issue it’s been battling with for the past year. WhatsApp is also expected to introduce reverse image search on the app. This will allow users to check images on the web and see if it’s authentic or not.